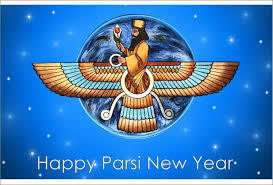 Parsi New Year, also known as Jamshedi Navroz, is a regional holiday in Maharashtra, India. The new year celebration focuses on renewal for the new year. Wearing new clothes, making donations, cleaning the house, and giving gifts are part of the renewal. Government and businesses are open with the restricted holiday.